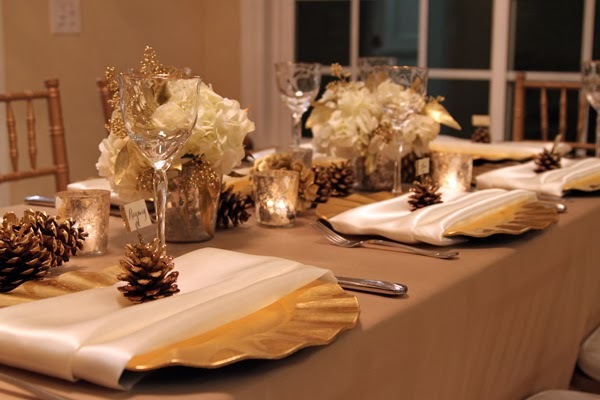 My mom asked me to do the table setting this year for Christmas. 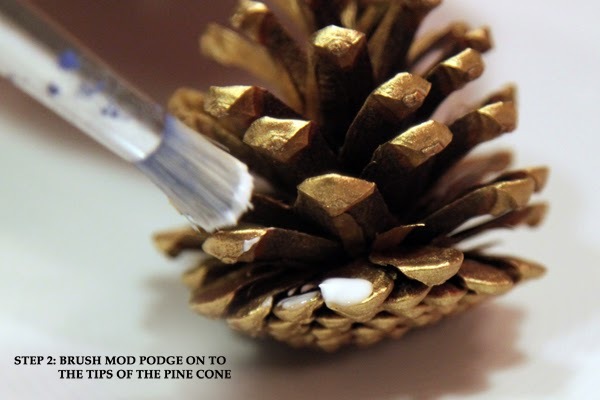 I had this idea of using pinecones as the center of the design. 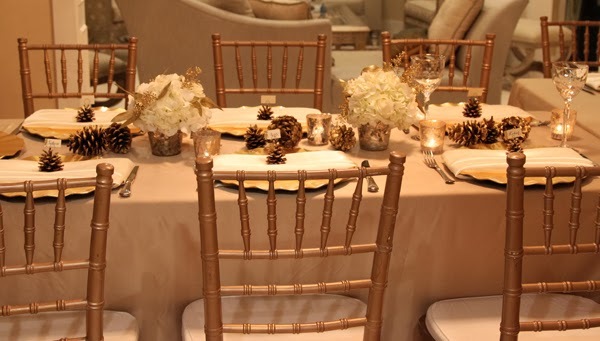 The table was covered in a champagne satin linen and paired with gold chivari chairs. 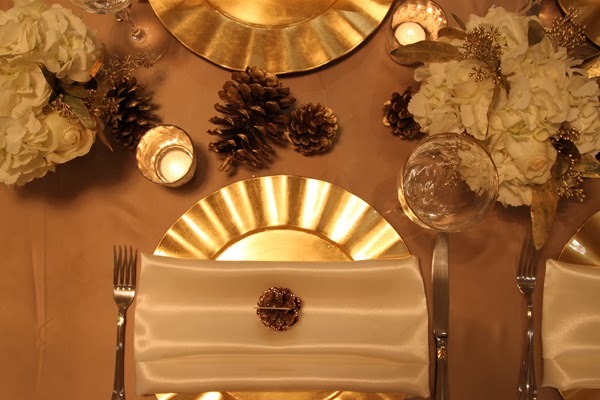 I used my mom's gold chargers to create a nice place setting. 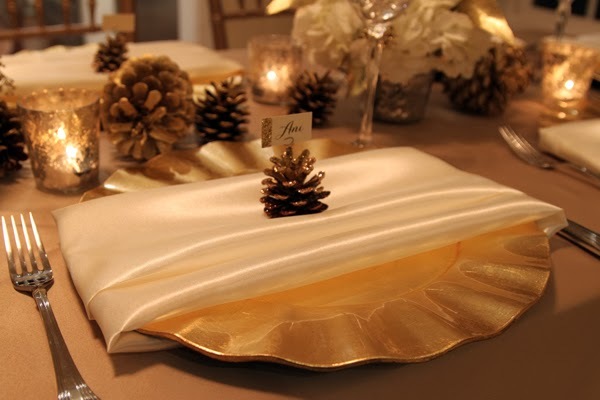 I wrapped an ivory satin napkin around the charger and topped it with a pine cone place card holder. 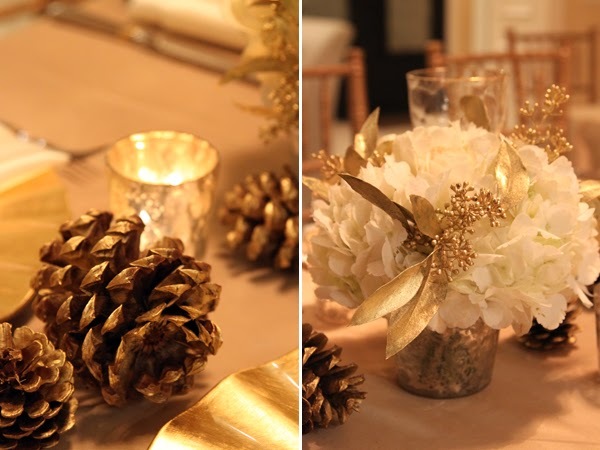 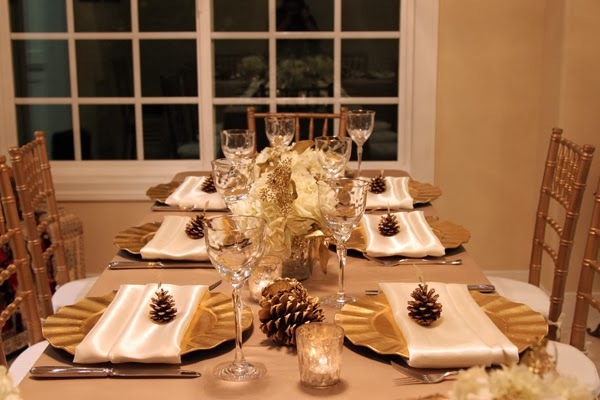 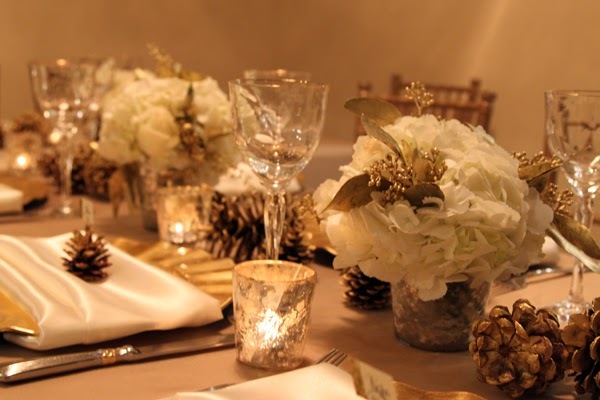 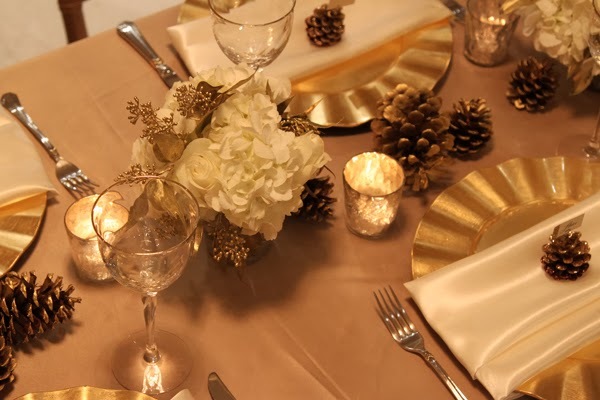 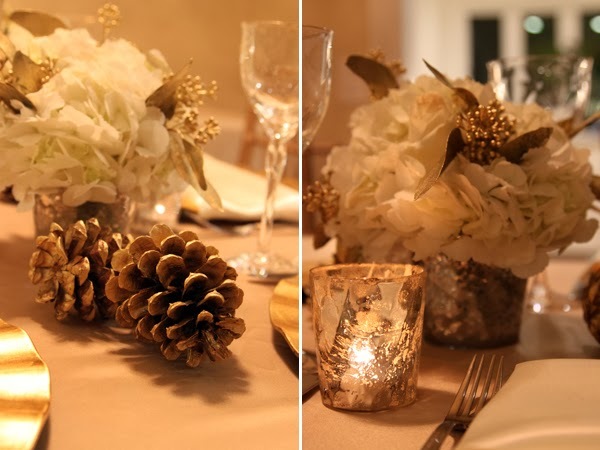 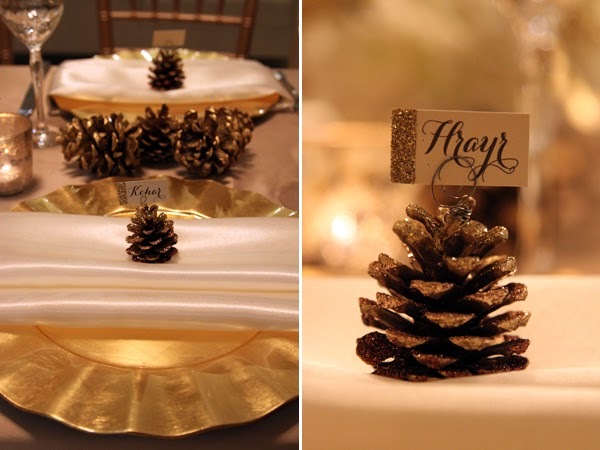 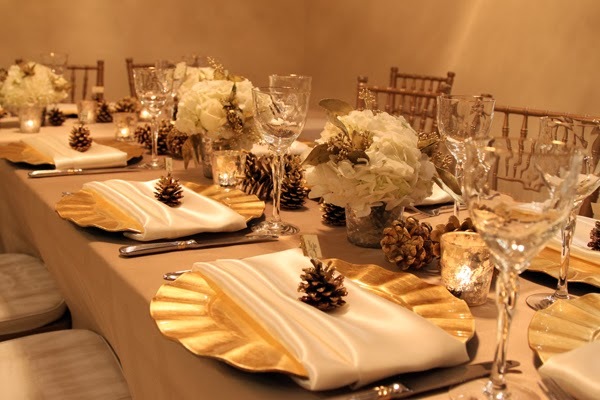 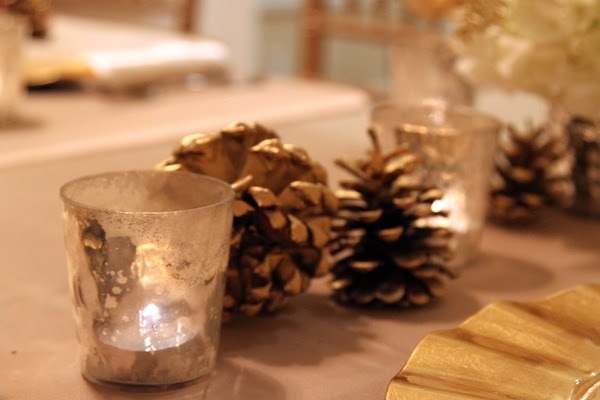 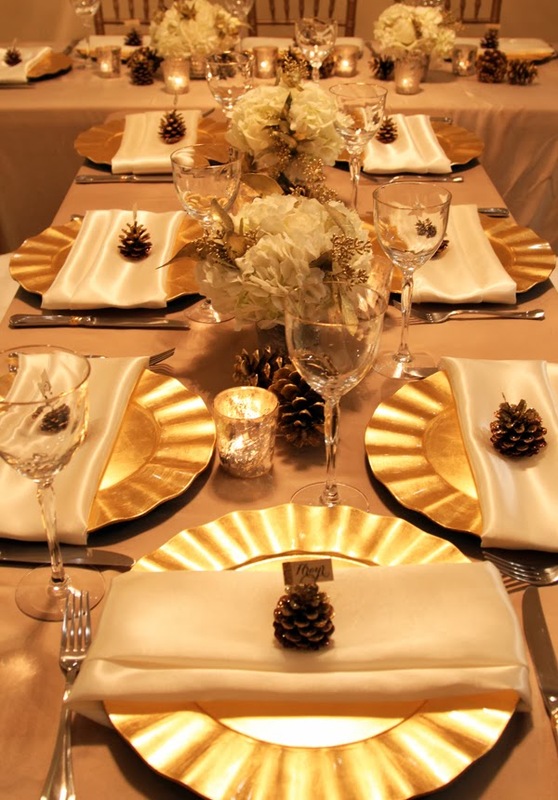 The pinecone place card holders were spray painted gold and sprinkled with gold and champagne glitter. 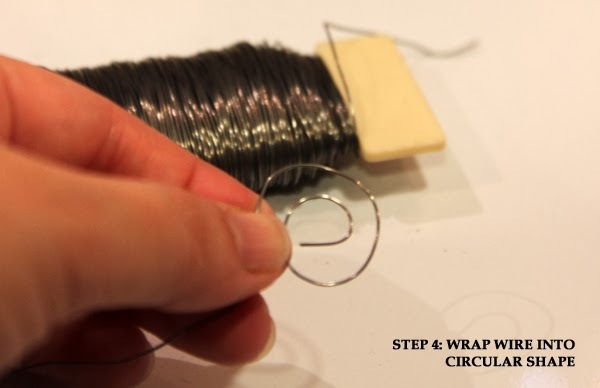 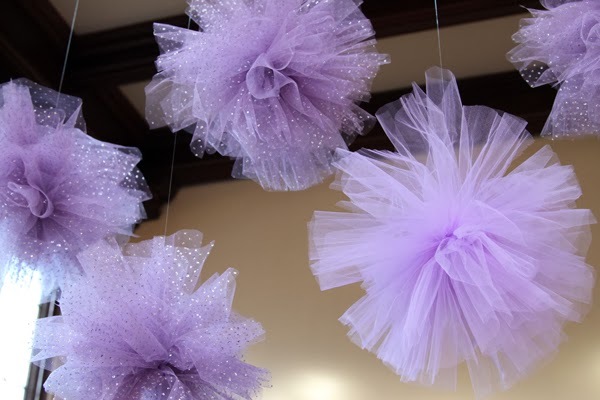 For the DIY tutorial click here! 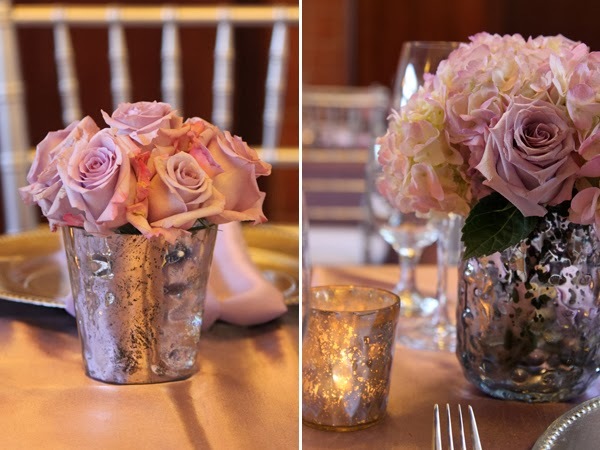 I used my mercury glass vases to hold the florals. 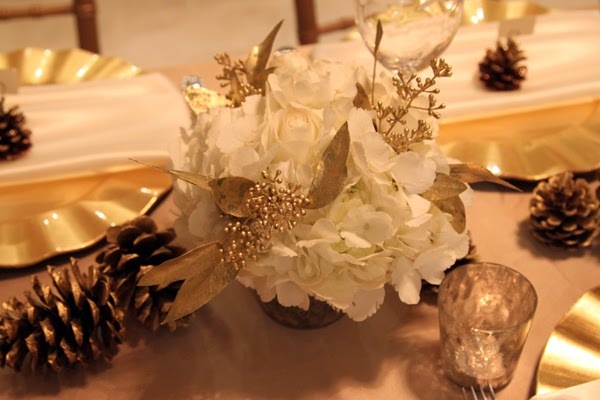 The flowers were a mix of white hydrangeas, white roses and greenery that I spray painted gold. 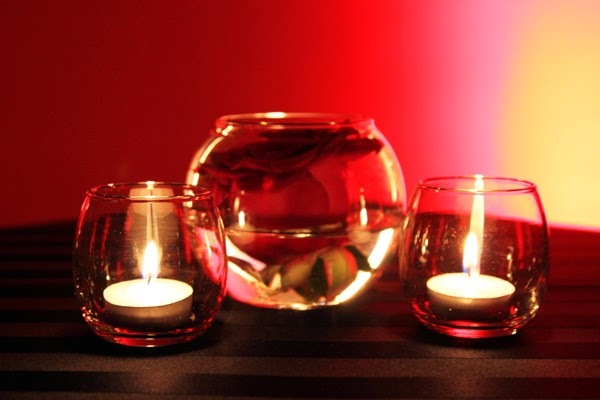 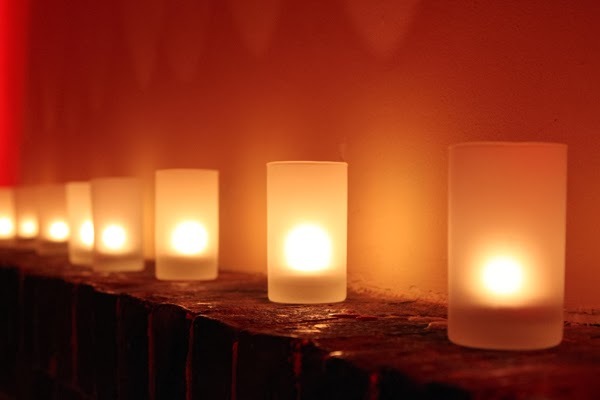 I also added some mercury glass tea lights to create a little illumination. 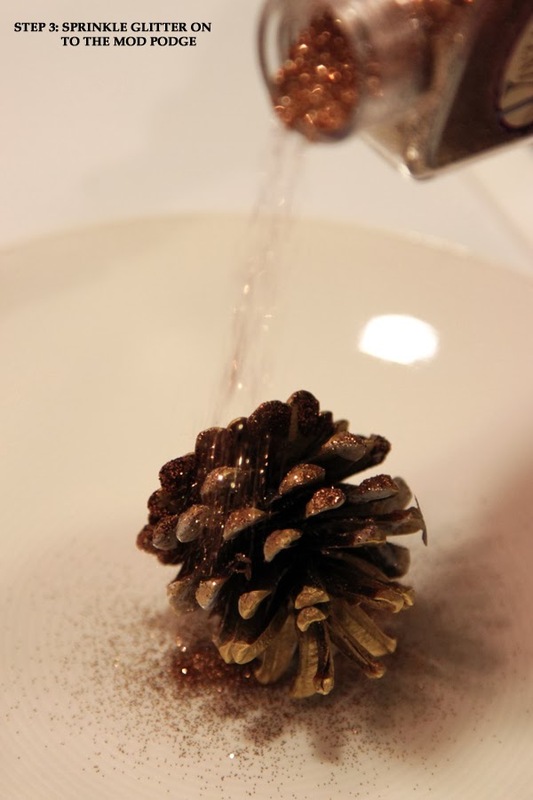 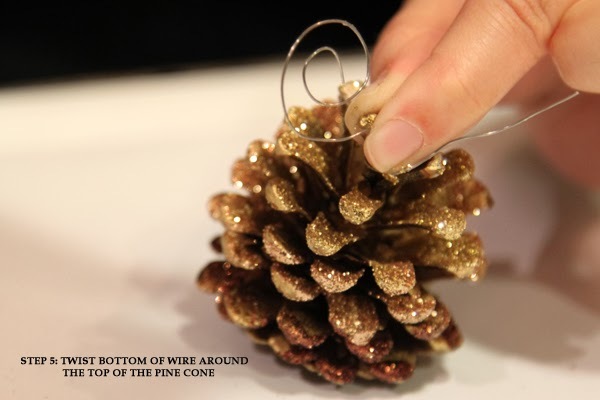 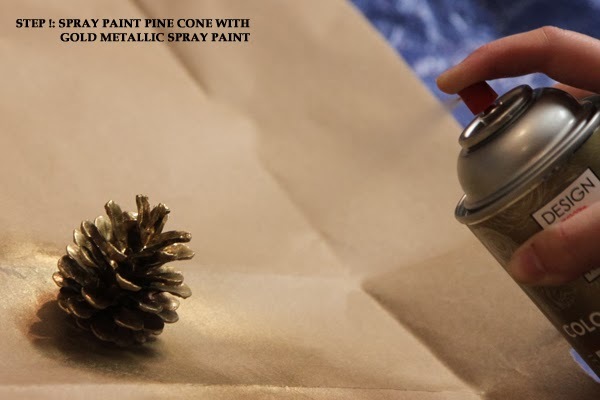 Lastly, I spread various sizes of pine cones that I spray painted gold down the center of the table. 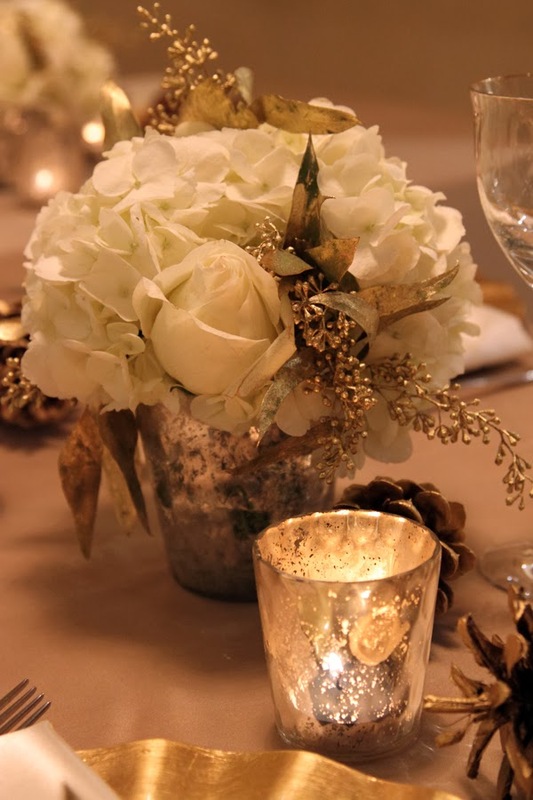 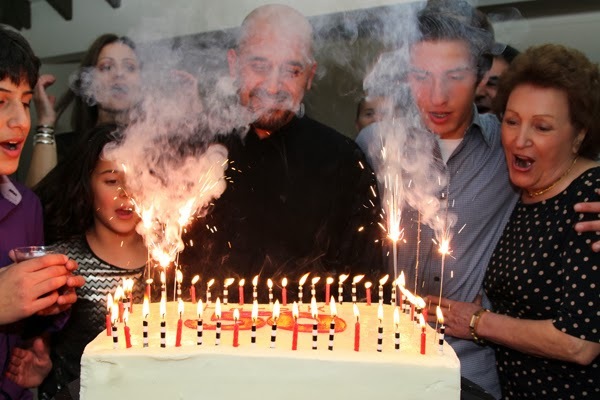 I'd like to wish everyone a Happy New Year! 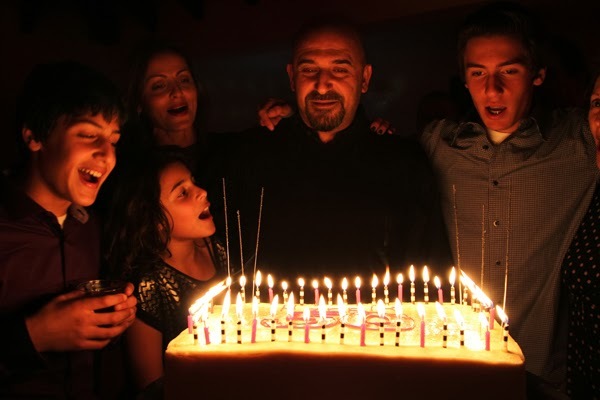 It's crazy how fast the years fly by now. 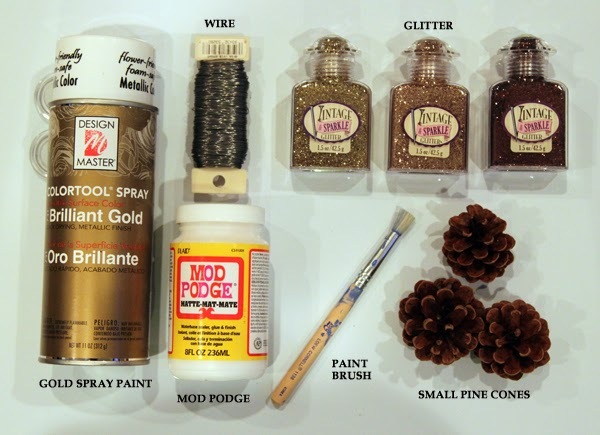 It's Christmas time, which means you will find glitter in every corner of my house. 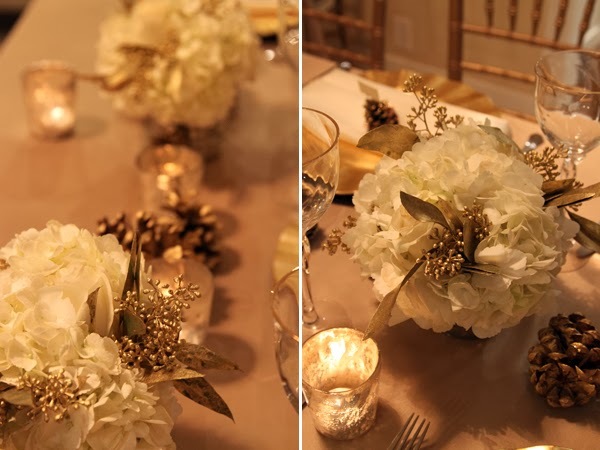 Yes, it drives my husband crazy, but I can't help it this time of year. 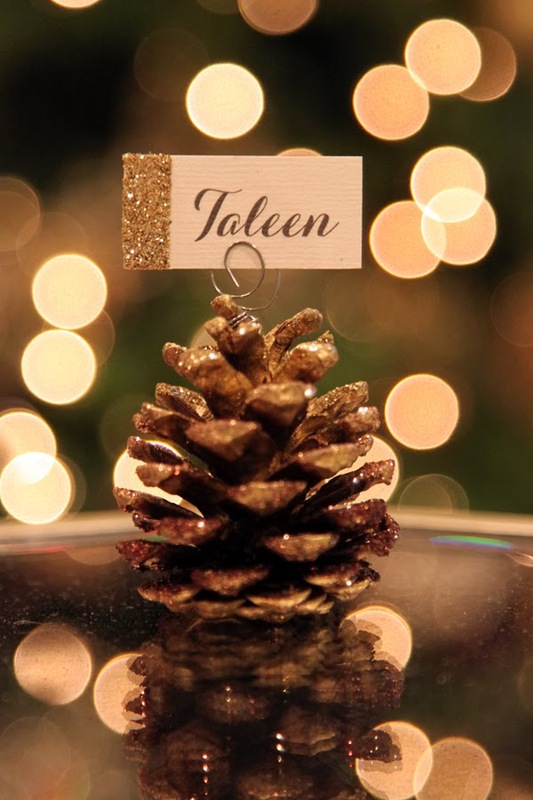 My mom has asked me to decorate the table this year for Christmas, so I had this idea to make pine cone place card holders with 3 shades of glitter. 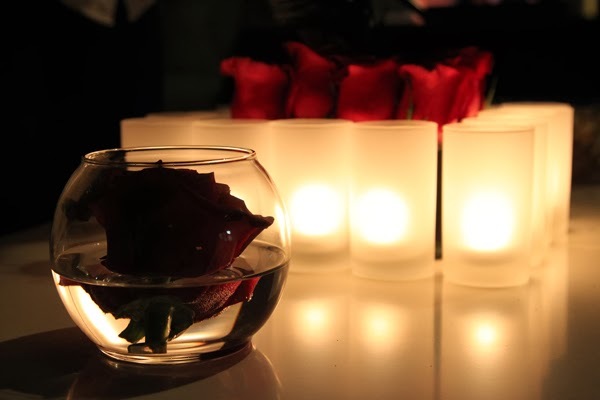 Below you can find the steps of how they came together. 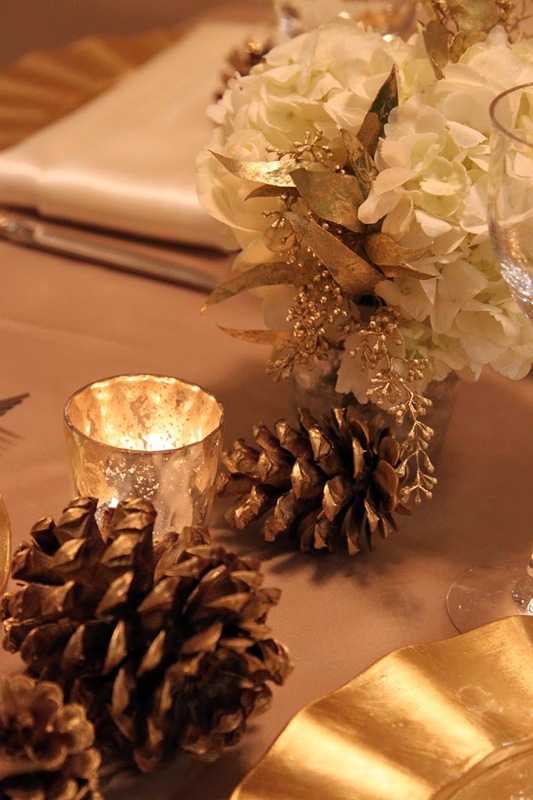 I wish you all a very Merry Christmas and Happy Holidays! 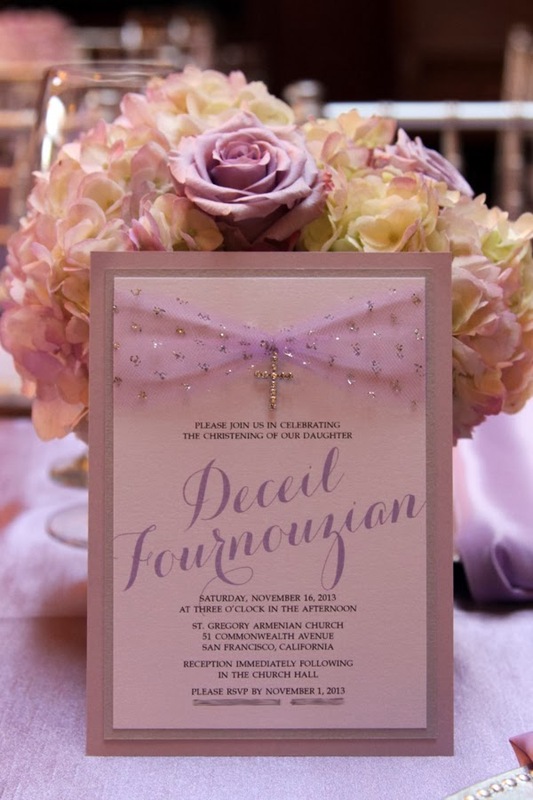 I was hired to do the event design for a Baptism last month that took place in an Armenian church hall in San Francisco. 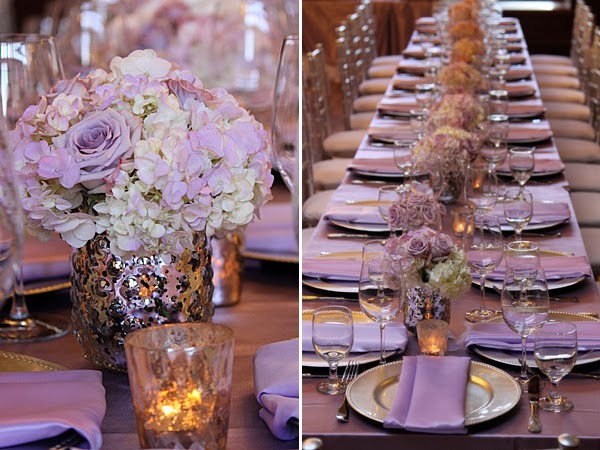 Instead of going for the traditional pink as the color scheme, we chose to do Lavender and Silver. 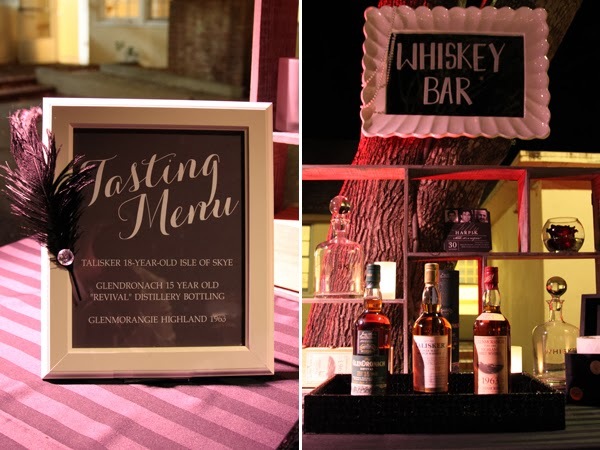 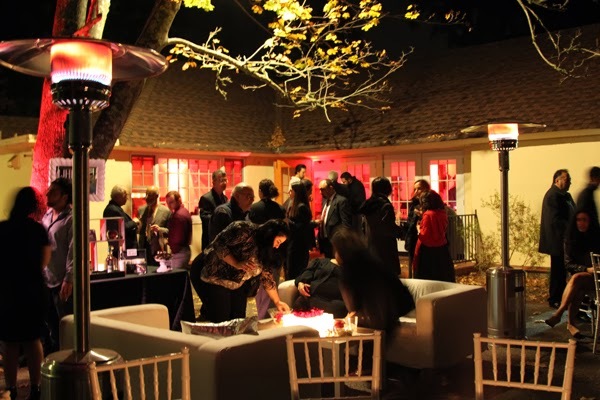 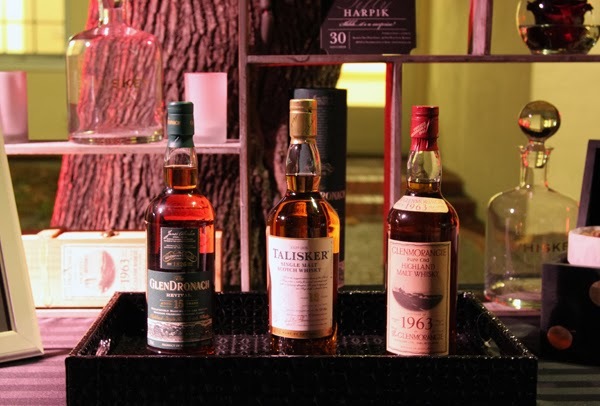 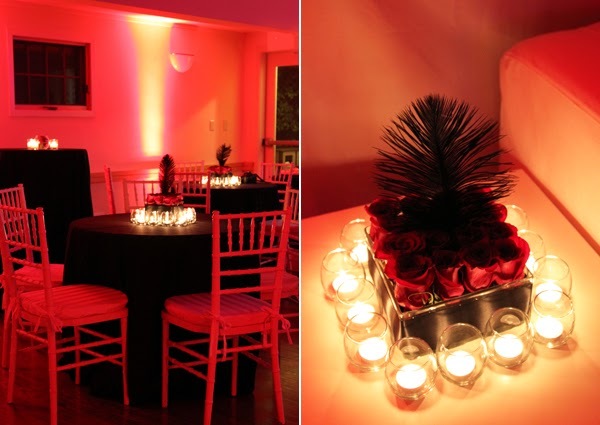 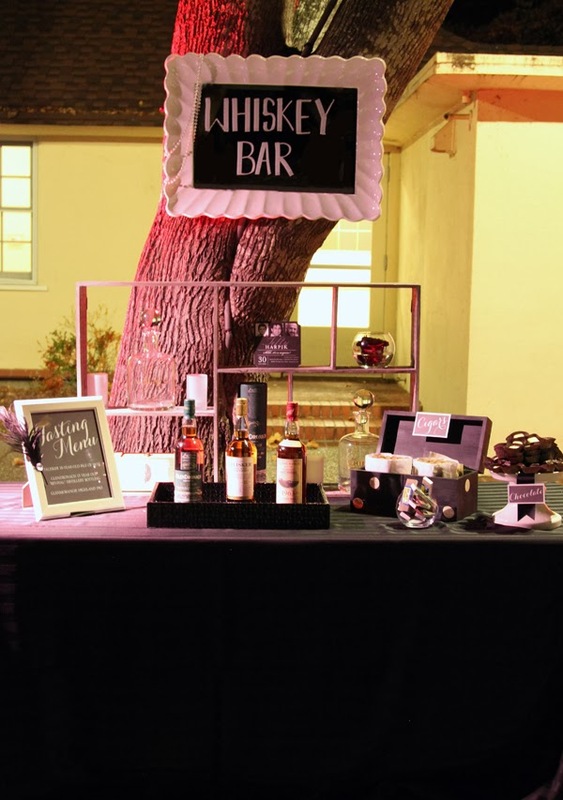 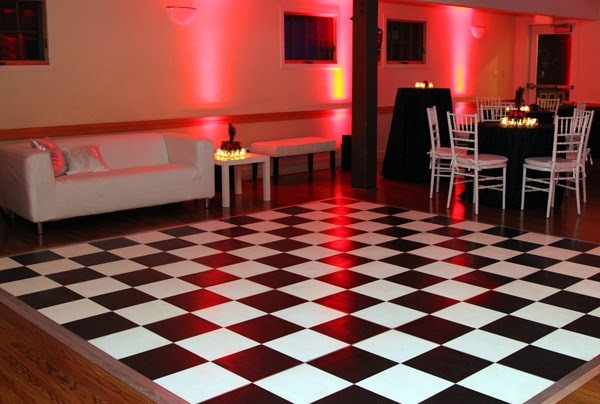 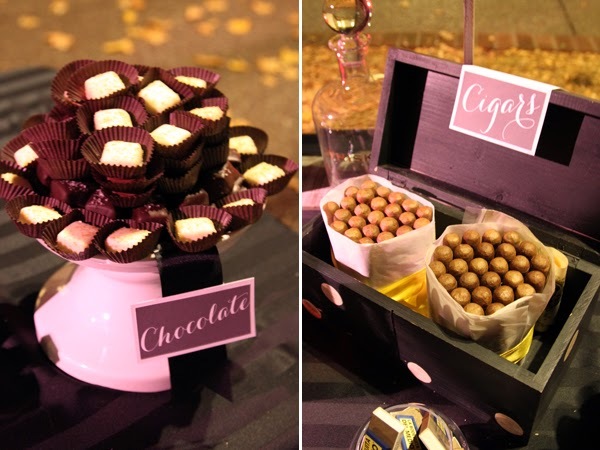 We wanted the reception to look elegant and classy. 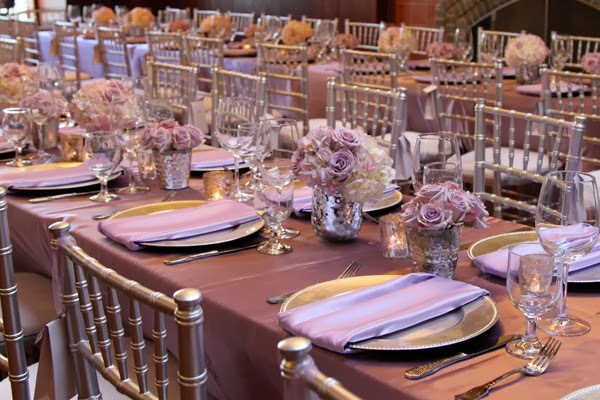 Since the hall offered rectangular tables, I decided to utilize those and create a long spread with high and low florals and candles going down the middle. 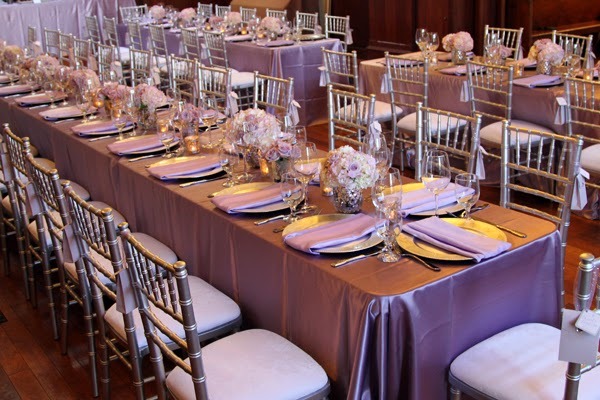 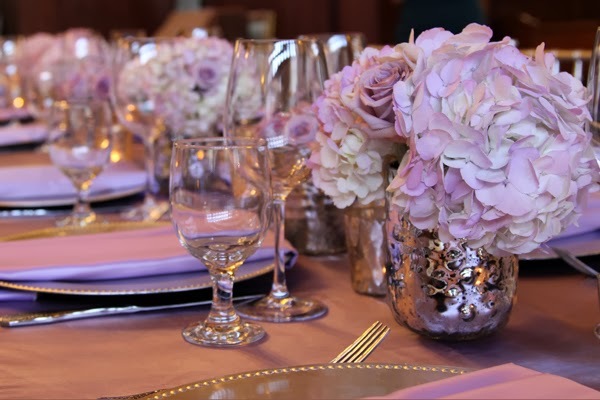 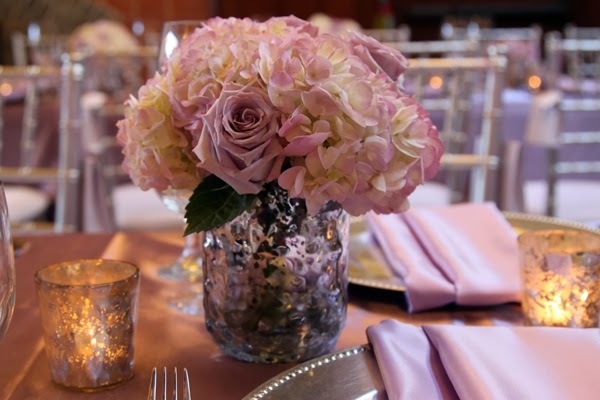 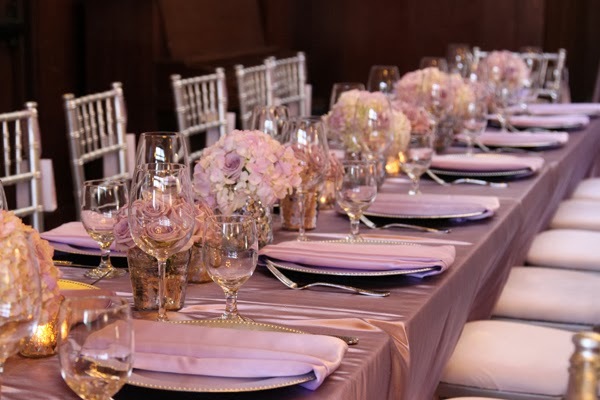 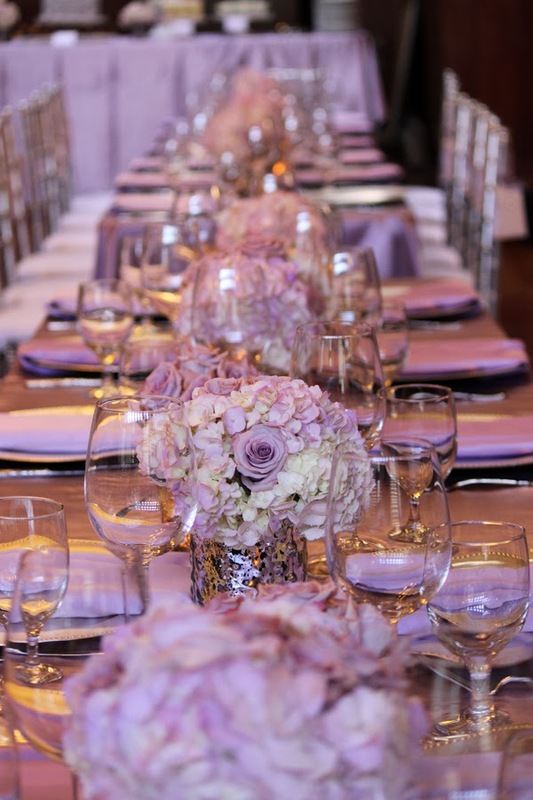 The linens were a beautiful lavender silk shantung that added a richness to the tables. 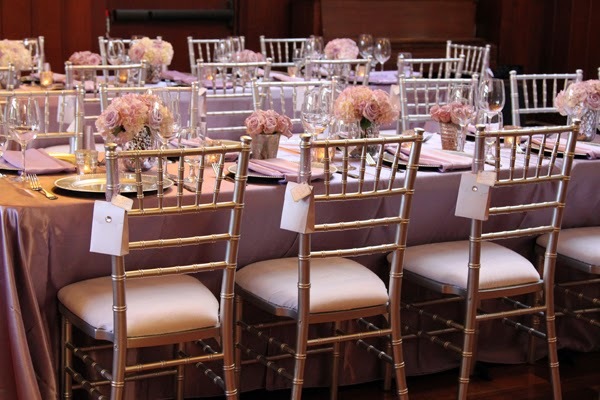 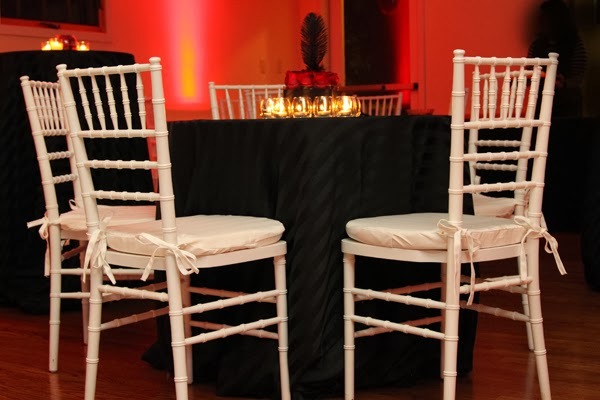 Lush Event rentals provided the silver chivari chairs and chargers. 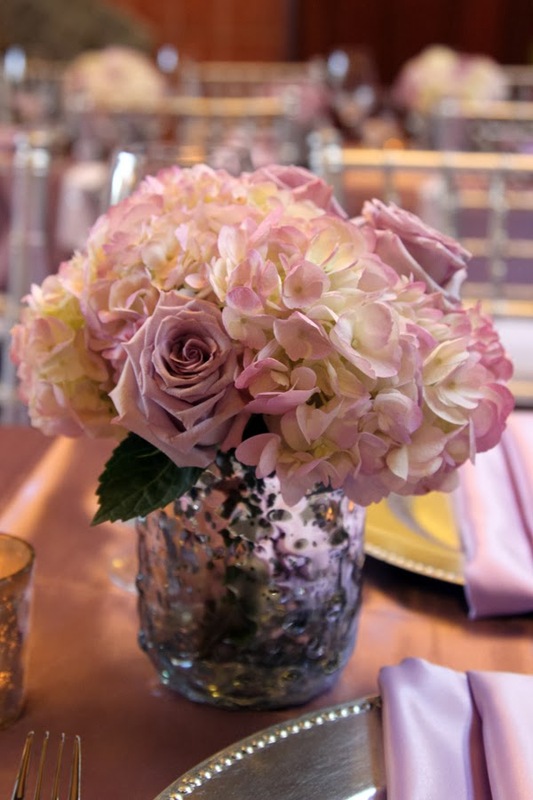 For the flowers, I really wanted lavender colored hydrangeas, however since they weren't in season I ordered white hydrangeas and hand spray painted them with a tint of lavender color. 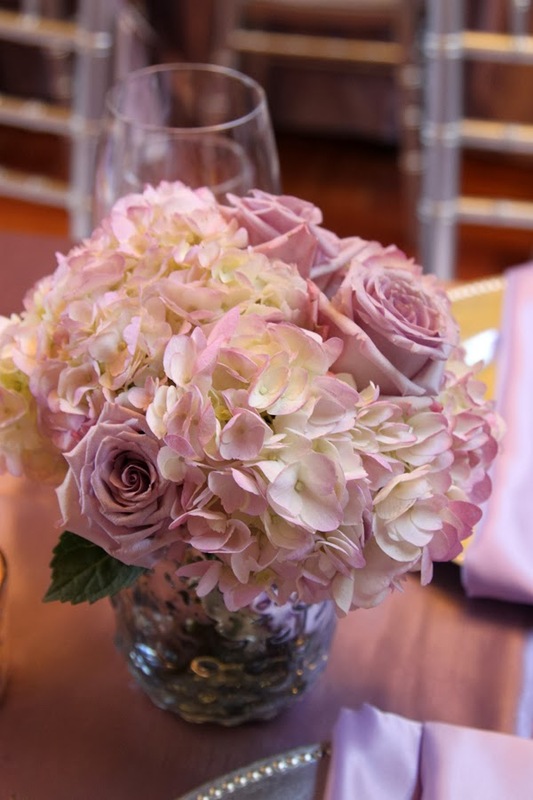 I loved the simplicity of having the tall centerpieces with hydrangeas and roses and the lower centerpieces just roses. 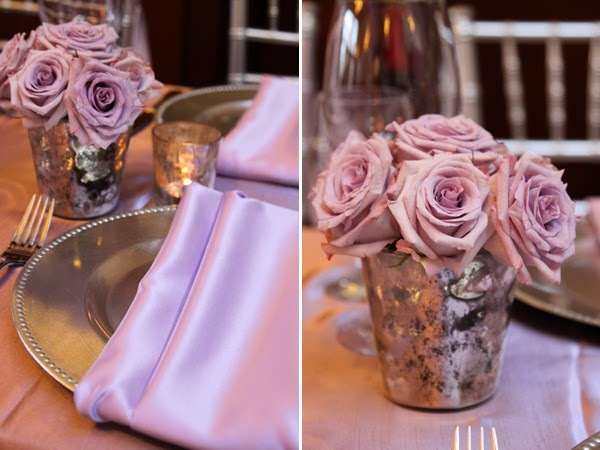 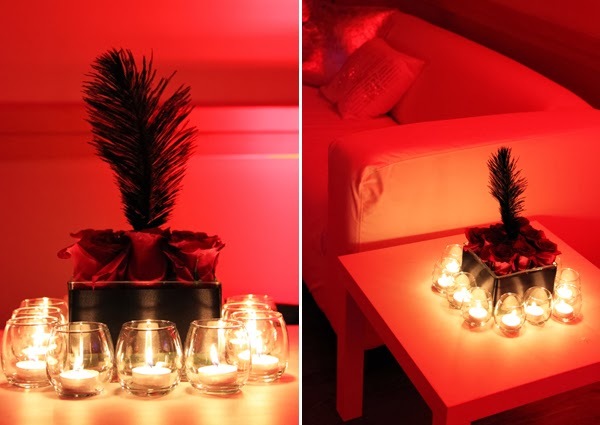 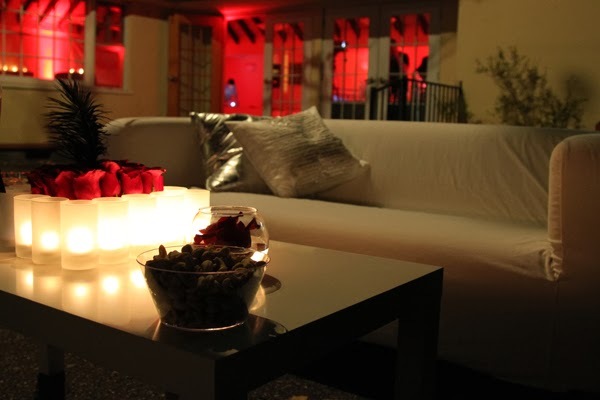 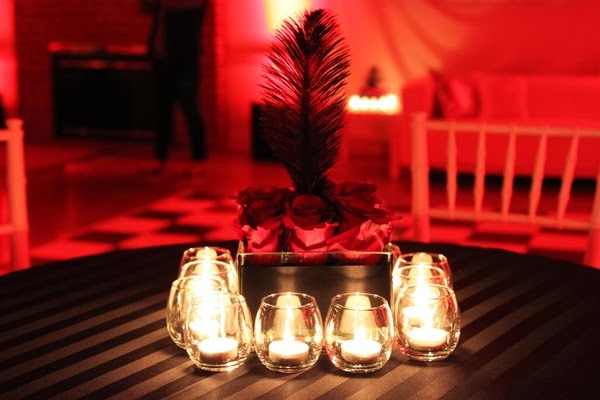 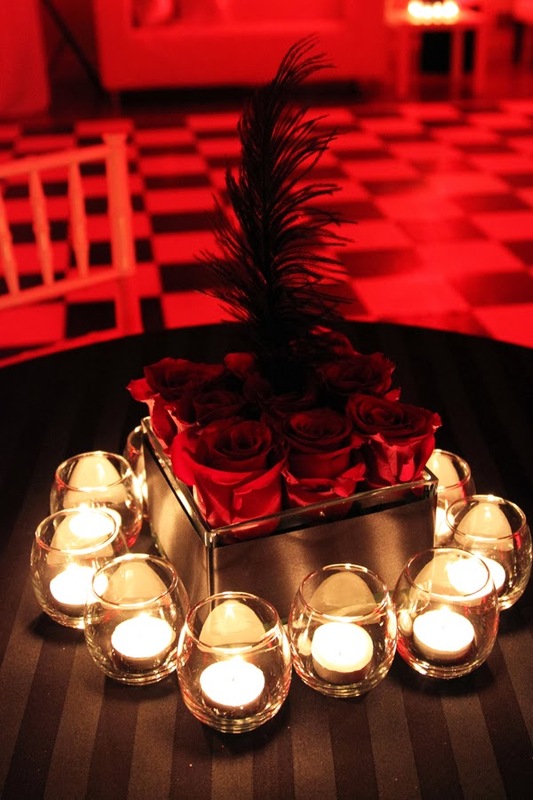 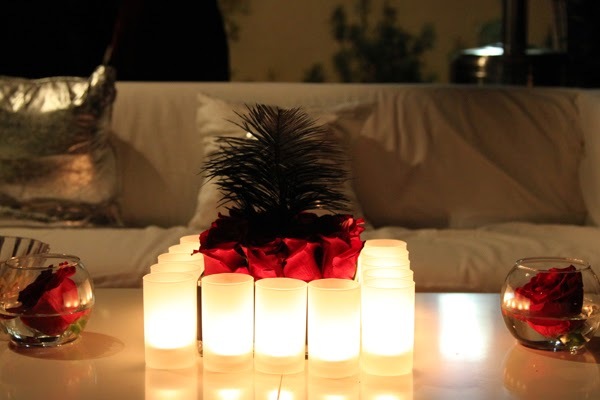 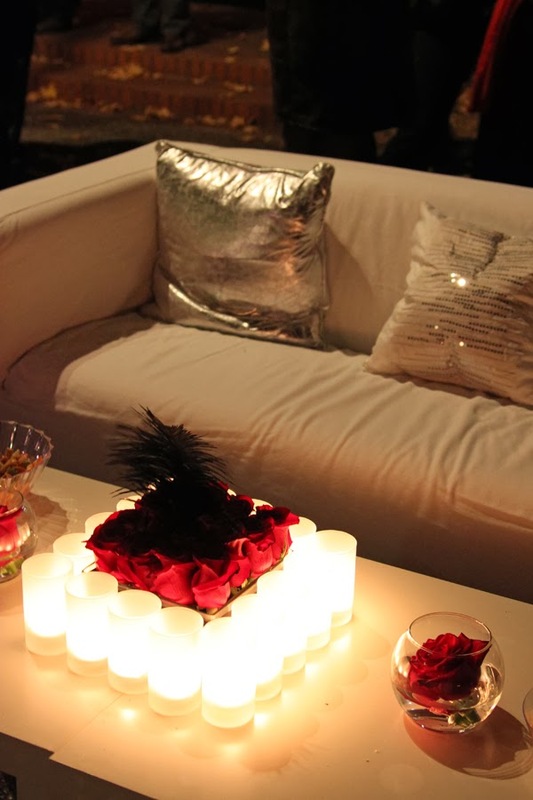 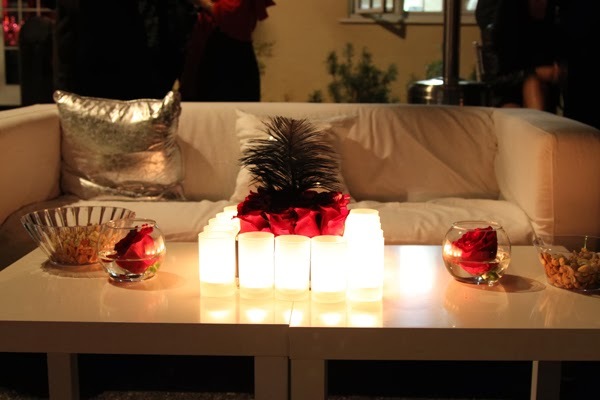 I had these beautiful mercury glass vases from a past event that I was able to utilize. 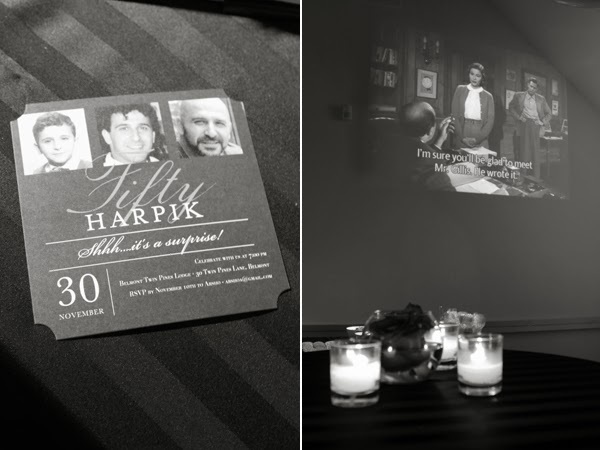 I also created the invitation and favors for this event. 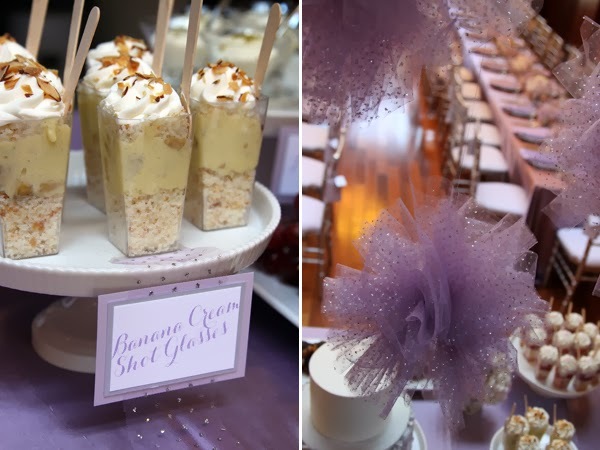 I knew I wanted to do some type of hanging favor to put on the chivari chairs, so I ordered lavender boxes and added the same tulle that was from the invite to create a handle. 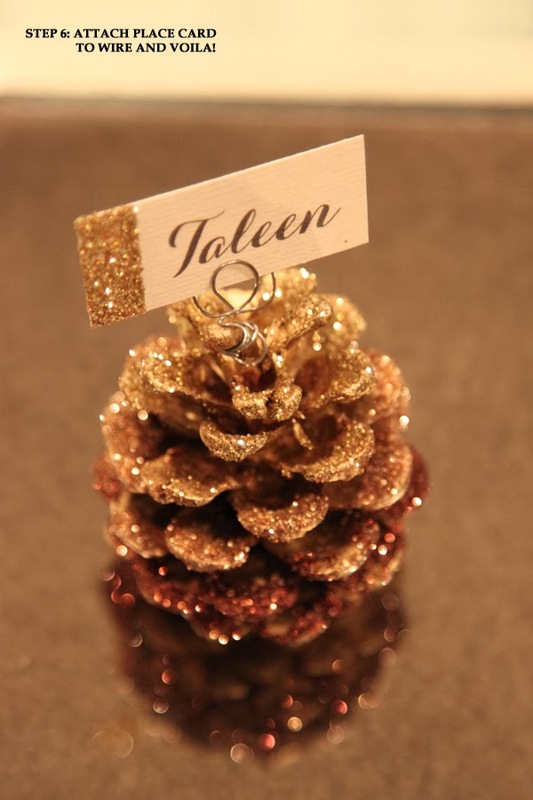 I also added a rhinestone detail and tag. 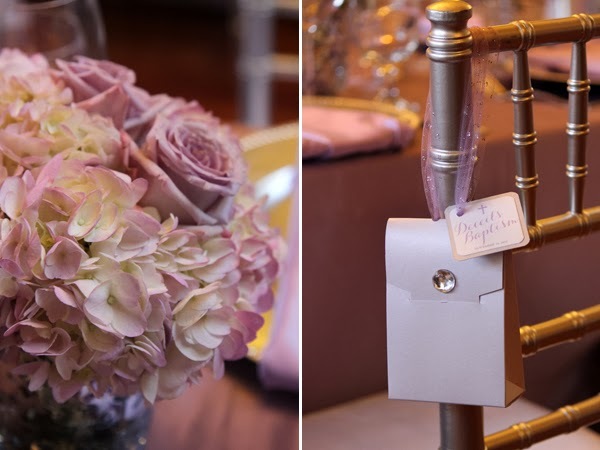 They came out looking like mini handbags. 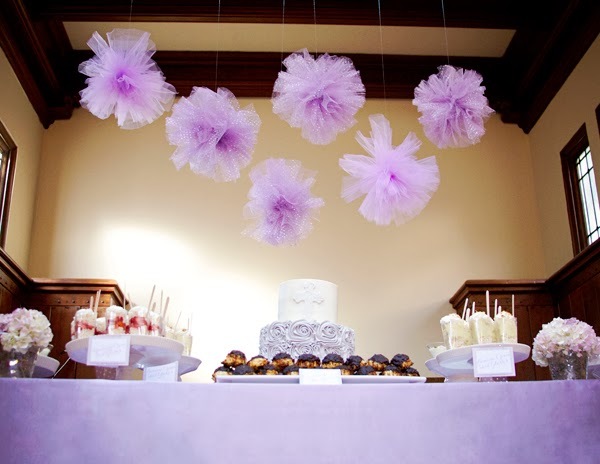 For the dessert table, I carried the theme of the lavender tulle and created pom pom balls to hang over the dessert table. 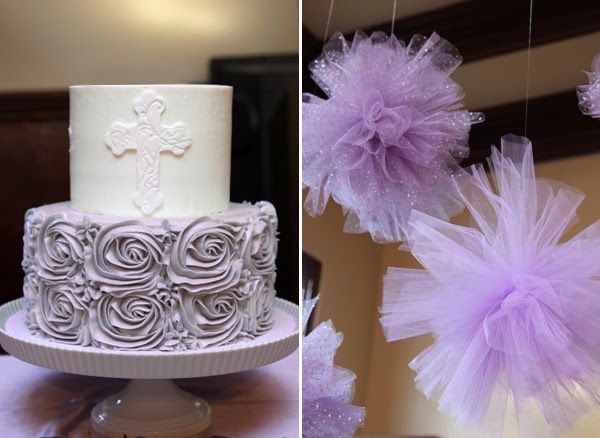 Setrak and Taline, congratulations on your daughter's Baptism and thank you so much for hiring me to do the decor! 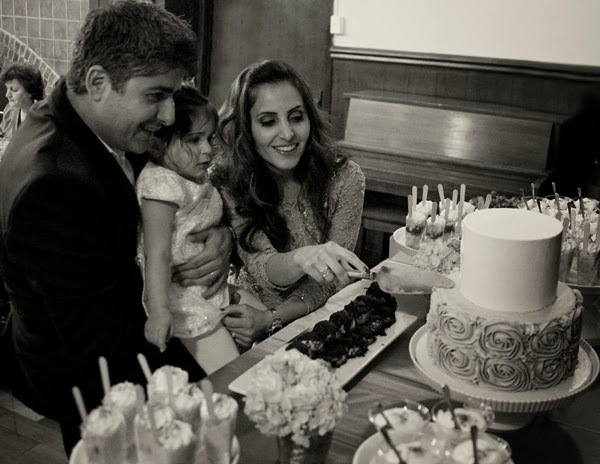 She is so precious!